Lewis Carroll’s Alice in Wonderland makes perfect fodder for a video game setting – a strange, alternate world full of wonder and iconic characters. 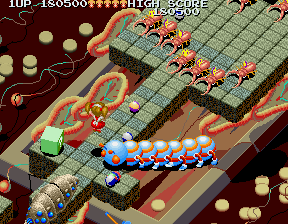 Namco’s Märchen Maze isn’t the first game to be based on the story – that award goes to Windham Classics’ 1985 computer adventure game – but it is the first Japanese-developed one to take the concept and place it in an action-arcade setting. (“Märchen” is German for “fairy tale”, basically.) 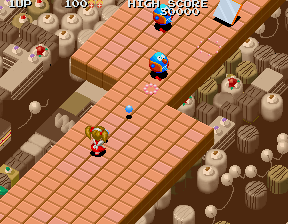 This precluded other efforts, like Face’s 1990 PC Engine side-scroller Fushigi no Yume no Alice and Konami’s 1996 shooter TwinBee Yahho!. 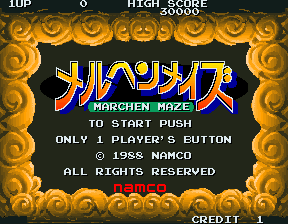 Märchen Maze was developed by N.H. System, a short-lived branch of Namco. The characters were designed by Katsuhiko Nishijima, director of numerous famous anime like Vampire Hunter D and Outlanders, and who later made a name for himself with assorted fan service shows like Agent Aika. 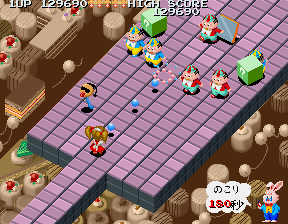 At the time, he also worked on the art for other arcade titles like Sega’s mahjong game Sukeban Janshi Ryuko and Jaleco’s Ginga Ninkyouden. The premise is familiar – young Alice is called through the looking glass by a talking rabbit, who requests her help. 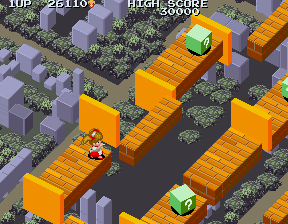 The game is played as an isometric hybrid run-and-gun/platformer, an unusual combination for a Japanese developed game from the late 80s. 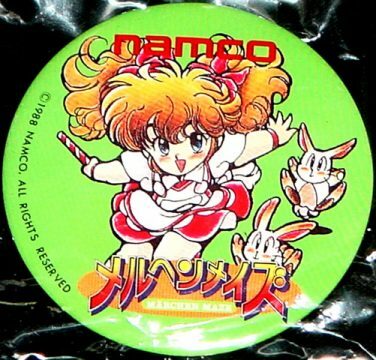 It follows up Namco’s Wonder Momo for being an early “moe” video game – that is, starring a cute female character. 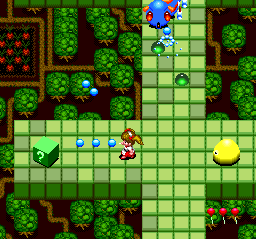 Alice wields a small bubble blower, which seems fairly weak, but can be charged up to create sphere that resemble large bowling balls, blowing over everything in its way. 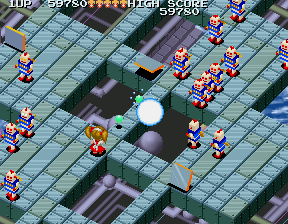 Additional power-ups will grant Alice a three-way bubble shot or let her fire fully powered bubbles without the need to charge them, as well as a shield that surrounds with her rabbits, for temporary invincibility. You have three minutes to complete each level, with the white rabbit popping up at regular intervals to let you know how much time you have left. 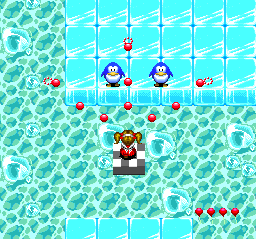 The levels consist of narrow platforms floating in the sky, often with small blocks that float back and forth, per usual platforming game convention. There is no life meter in Märchen Maze, making it a bit unusual. 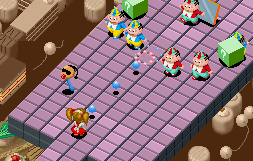 Instead, all enemies attack with tiny beach balls, which knock Alice back a few squares. The only way to actually die to be knocked off the edge, unless you dodge or jump over them. If you happened to have a balloon power-up, it’ll be consumed and you’ll float up to safety – otherwise, you’ll get sent back to a checkpoint, or need to restart the level if you run out of lives. 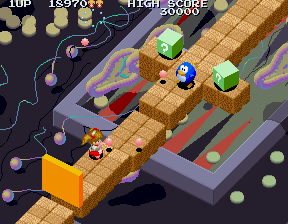 Although isometric games have an often well-deserved reputation for frustrating platforming controls, Märchen Maze controls relatively well. You’re not restricted to diagonal movement – in other words, you can walk in all eight directions – and the game only scrolls in one direction, upwards at a 45 degree angle, so there’s rarely any time where the viewpoint makes it difficult to see where you’re going. 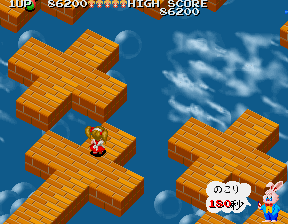 Alice’s jumps are a little on the short side though, and some of the later levels require precision platforming, not only in timing the platform movements correctly, but also in dodging enemy fire. 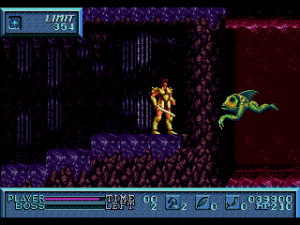 The later levels are absolutely packed with enemies, which causes the game to slow to a crawl. 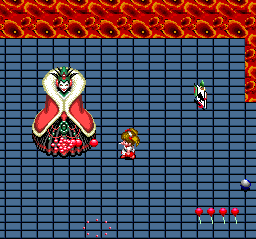 The level themes and enemies are based loosely on Alice in Wonderland. 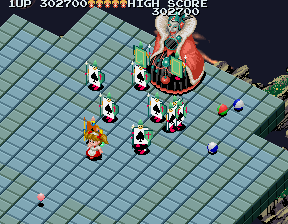 There are card soldiers and Tweedle Dees; the final boss is a robotic-looking evil Queen of Hearts. Others are original but keep in the drug-addled style of the original story, like glasses-wearing, chain-smoking mushrooms. 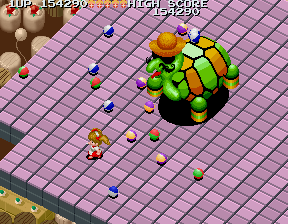 Each the games’ ten levels have weird bosses, the most amusing being a mustachioed fedora-wearing turtle. The levels take place over backgrounds that include desserts and landscapes filled with Salvador Dali-style melting clocks and backgammon boards. 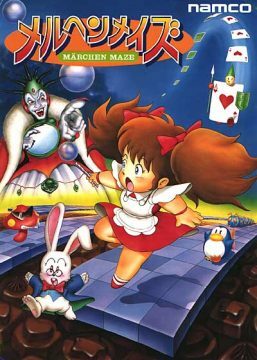 Märchen Maze was ported to the X68000 in 1991 by SPS, which is essentially a perfect port. 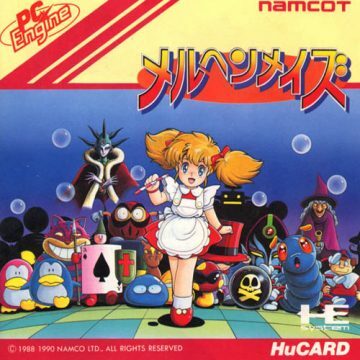 Predating this by a few months, Namco themselves released a port on the PC Engine. “Port” is a really generous word here because it’s really more of a gigantic revamp based on the same basic themes. The most unique facet – the isometric perspective – has been removed and replaced with a more standard overhead view. The rationale is that the PC Engine pad was bad at diagonals so it would be a pain to play. As a result, the levels have also been entirely redesigned. It’s also missing the parallax scrolling, so the towering sense of depth is lost. 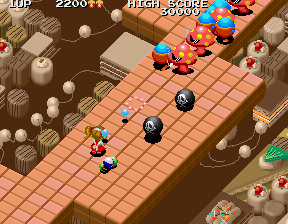 The number of enemies has been drastically toned down, but many enemies aim their shots directly at Alice rather than just firing straight forward like in the arcade game. Alice is also flung back much farther when getting hit. Altogether, it’s less overwhelming but also less forgiving. 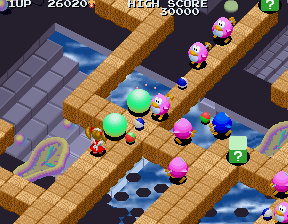 The balloons are now Alice’s lives, which will resurrect her on the spot, but lose all of them and you have to continue back at the beginning of the level. Most of the levels have been rearranged. 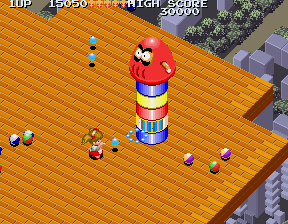 The “robot” level was originally the fourth level in the arcade game but is now the second one in the PCE version. 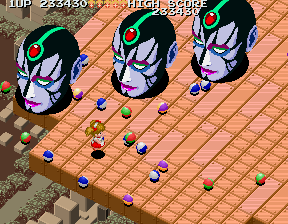 Many levels in the arcade game also repeated some of the themes – in the PCE version, many levels are brand new, like an arctic stage filled with ice or a “mirror” level filled with Alice clones. 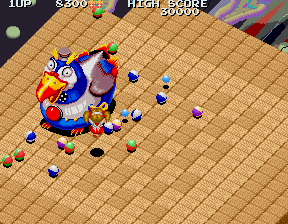 There are also other new enemies, like Cheshire Cats, which were strangely absent from the arcade game. 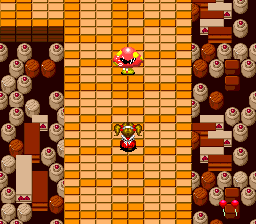 Despite the change in themes, the bosses remain the same. There’s also a new, somewhat longer ending. 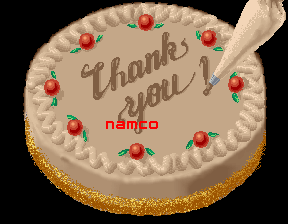 The art this time was provided by Kouichi Tokita, who also did the cover art for many other Namco PC Engine titles, as well as numerous Gundam manga. 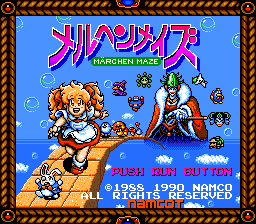 Märchen Maze is cute, but it does run out of steam midway through. Its platforming challenges are difficult but enjoyable, but beyond that the game’s solution to make itself more challenging is just to litter the screen with enemies. The boss battles are also not much fun, considering they always seem to hover just out of view. These issues are mitigated in the PCE release, though at the same time the changes make it seem less special. Finally, Alice makes a cameo as a hidden player in Family Tennis Advance for the GBA.